Explore Incan treasures and colonial cities on an intimate tour through Peru. Your adventure starts in the majestic Sacred Valley, from which you explore Machu Picchu. You'll continue to the lively city of Cusco before ending in the capital, Lima. Your journey will intertwine traditional Peruvian meals like a "pachamanca" with creative cuisines at restaurants from Pellegrino's list of "The World's 50 Best Restaurants". You'll learn techniques to use local ingredients at home including quinoa, raw fish, and Peru's famous variety of potatoes. To work up your appetite we'll venture out to paddleboard on serene lakes and hike on mild terrain through the Andes mountains. Note: This tour does not include the intense Inca Trail hike and camping. Instead, we will be enjoying boutique hotels at night and we will take alternate transportation to reach Machu Picchu. We will have some "light" activity such as a 3-hour downhill walk on trails and optional paddleboarding. If you prefer more activity, we will also have the Machu Picchu Mountain or Huayna Picchu hike as an option. Annie Cheng is the founder of The Table Less Traveled. She fell in love with South America when she lived with a Chilean family for 7 months learning Spanish. For years she dreamed about returning to Peru and Machu Picchu and now she lives her dream annually, hosting travelers in one of her favorite places. Growing up in the hills surrounding Cusco, Cristo Cuba Huaman is a native Peruvian who gives traditional relevance to everything we do from eating quinoa to how the stones are laid at archaeological sites. Ask about his avocado farm! Brisa Deneumostier graduated from the Culinary Institute of America in New York (2002), and then traveled the world sharing her gift at restaurants, spas, and in private homes. 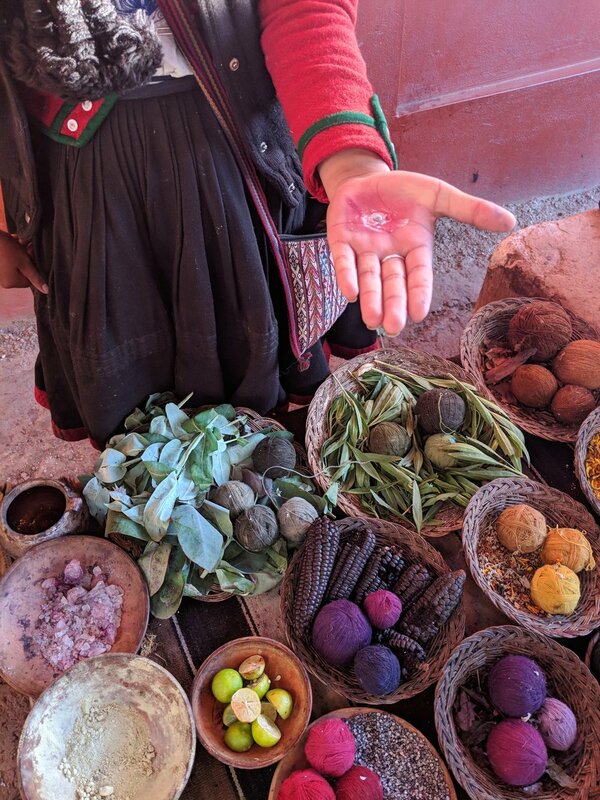 As a wellness and mindfulness instructor, she connects us in a meaningful way to the ancient spiritual wisdom of the culture and soul of Peru through beautiful food in her home. Welcome to Peru! Upon arrival at the Alejandro Velasco Astete International Airport in Cusco (CUZ) you will be met by your private driver for a beautiful 90-minute drive through the mountains to your lodge in the Sacred Valley. We begin our trip in the valley so you can spend some time acclimatizing to the altitude of the Andes Mountains. Our tour leader will meet you at the hotel lobby upon arrival to help with check in. After you book your tour we’ll help coordinate your international arrival, early check in if necessary, or extra nights accommodations if you’d like more time to acclimatize and enjoy the beautiful scenery. Meet your tour leader and the rest of your group for the first time in the hotel lounge area near the pool. We will have a short introduction about what to expect over the duration of the trip. Then we will walk 5-minutes to the onsite restaurant where we will begin our introduction to Peruvian food with a multi-course lunch with traditional food from the Sacred Valley. During lunch you can also watch the Peruvian Paso Horse Show. After a few hours of rest time, you’ll meet your group again to get behind the scenes and become a part of the action in the kitchen at the onsite restaurant. We’ll prepare a 3-course dinner led by our favorite chefs and dine in our creations. The class is about 2 hours so you have plenty of time to rest on your first night. Prepare for a full day! We’ll give you a quick check list to make sure you have everything you need in your day pack before we head out from the resort. We’ll start with a visit to the local market and continue on to a nearby lake to try your hand at paddle boarding. We have certified swift-water trained guides so you’re in safe hands in case you need extra help or instruction. We’ll enjoy a picnic lunch right by the lake, enjoying the serene surroundings of the mountains before we move on for a short walk around the Moray ruins. Finally, we’ll descend to the Maras Salt Mines where you’ll learn why these salt pans are so important to local families. We will return to our hotel approximately 5:00 PM. Peru might not be known for the wines, but tonight you’ll have an opportunity to have some Peruvian and South American wines paired with a 7-course tasting menu. Sit back and relax and let your taste buds be dazzled! This is where the magic-makers of luggage logistics make your travel life easier! You will pack an overnight bag as the rest of your luggage is forwarded on to the following hotel so you don’t have to lug it all with you on our magical journey to Machu Picchu. Throw on your hiking boots for a mild, two-hour, mostly downhill hike. During our casual stroll through the mountains our guide will stop for breaks to explain more about the local farming terraces we pass on our way down to the town of Ollantaytambo. Experience a true “Earth-To-Table” meal as we participate in a pachamanca, a traditional Andean way of using hot stones buried in the earth to cook meats, vegetables, and seafood. After lunch we will board the Vistadome train towards Machu Picchu town, watching as the flora changes on our way to the highland rainforest. After checking in to our rainforest hotel, we will have a relaxed dinner at the onsite restaurant in order to leave plenty of rest time before our full day! It’s finally here! Prepare for a day of exquisite views and spiritual connection as we take a bus from Machu Picchu town to the archeological site. There we will have a short introduction with our guide, and optional hikes at the site. After lunch we will have an in depth tour of the site with plenty of time to learn about the intricate details of the ruins and take plenty of photos. Upon returning to the hotel in Machu Picchu, your dinner is included at the on site restaurant, which you can coordinate at your leisure. As such, you may want to schedule a spa service or take time for souvenir shopping in the small town. After a leisurely morning for resting or shopping in the market, we will take the train back to the Sacred Valley. There we will stop for lunch before visiting a local co-op where they produce and sell alpaca-wares. Meet some of these sweet and soft creatures while you learn how the yarn is made into incredibly warm garments. We will drive about 60 minutes further to the city of Cusco where we will check in to our boutique hotel. Take a short walking tour of the city to get your bearings. You’ll have the rest of the evening free at your leisure to explore the city and have dinner on your own. We’re happy to recommend restaurants and coordinate dinner reservations. Join our guide for an optional tour to the archeological ruins surrounding the city of Cusco. Or - sleep in and meet us in the hotel lobby for our next activity! Get your morning fix at the coffee museum where we will have an in depth lesson about the growth and production of organic coffee in Peru. We will continue on to a local home where Chef Mila will host us as she makes empanadas, causa, and a few other surprises. Meet for a cooking class as we meander through the local market with a chef, learning about local ingredients, traditions, and customs. We’ll then head to a beautiful kitchen overlooking the city of Cusco and make our own Pisco Sours as we watch the sunset. We’ll finish off the evening learning the simple dishes that you will be able to replicate at home. On the move again! We will depart Cusco on a 1.5 hour nonstop flight to Lima. Upon arrival we’ll go straight to lunch as the ‘magical luggage elves’ take care of handling the bags. Looking for an experience of a lifetime? We will have a luxurious, chef’s tasting menu at the world-renowned Astrid y Gaston restaurant in San Isidro. Chef Gaston Acurio has been an integral part of bringing Peruvian cuisine to the international community and you’ll have an opportunity to experience the dishes you’ve been trying throughout the course of the tour presented in a new, creative way. 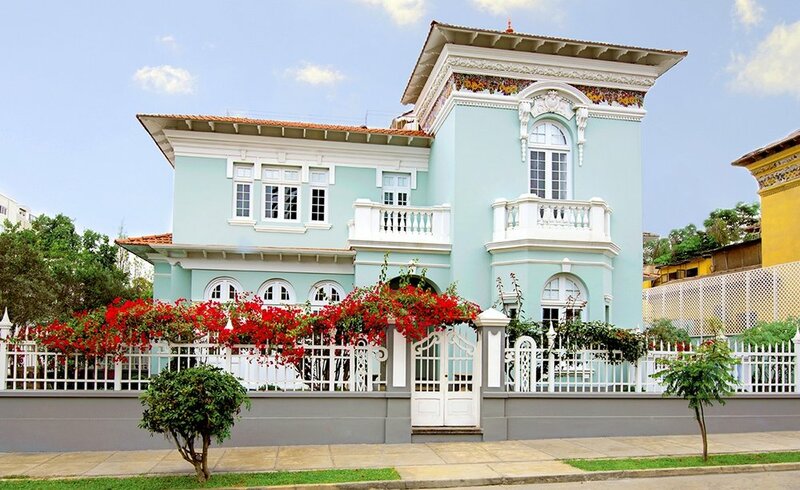 After our late lunch we will retire to our boutique hotel in the artsy, hip Barranco neighborhood. Given our very filling lunch, you’ll have the rest of the evening on your own to explore the neighborhood, and have dinner, or a liquid dinner for those who are too full to eat anymore! We will be picked up at our hotel by our local guide and driver who will take us around the heart of the colonial center of Lima. We’ll learn about this massive city’s history before taking a step back in time at the Larco Museum which houses one of the largest collections of Pre-Incan artifacts. We’ll return to the Barranco neighborhood just in time to meet Brisa at her apartment for lunch. She’s a trained chef and mindfulness instructor who creates beautiful, delicious, and nourishing dishes. After a full stomach, we will return to the hotel or have free time before our farewell dinner. Indulge in Nikkei cuisine, a fusion of Japanese and Peruvian cultures, at Maido, currently #8 of the World’s 50 Best Restaurants. We will have a sweet farewell at our last dinner together before returning back to our hotel. Bid your guides and new friends farewell as your driver takes you back to the Lima airport for your international flight, or onward on any of our customized extensions if you’d like to explore more of Peru. To book an extension or inquire about pricing on a customized itinerary to extend your vacation in Peru, call us at 425.894.8976 or contact us.